Kills 99% of all bacteria and virus! Unique flow sensor switch turns the UV unit on and off automatically with water flow, saving power and lengthening the life of the UV lamp. 11W stainless steel Ultra Violet lamp. UV is capable of killing bacteria, viruses, and other microorganisms by interfering with the DNA and RNA in the organisms' reproductive cycles. (Wiki - UV_water_disinfection). 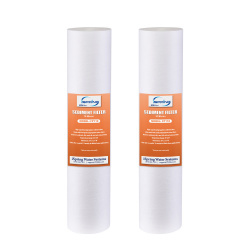 In theory, the RO membrane already removes bacteria and viruses from the water, therefore, if you are on a municipal water system (tap water) in the U.S., chances are that you should not need a UV light on top of our RO System. But, if your water source is known to be unsafe with microorganisms and you want to have extra protection, then you can add an UV as an additional stage to disinfect water. 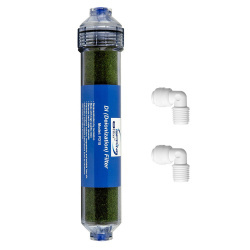 Housing dimension: Dia 2" x 10"
Typically the first stage for any water filtration system, the sediment filter removes dirt, rust, sand, and other particles from the water. Made of 100% Melt-Blown Polypropylene, 4-layer filtration. ANSI/NSF STANDARD 42 COMPLIANT COMPONENT - Tested by independent third-party. 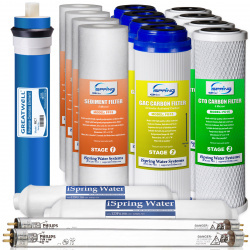 Genuine iSpring filter sold directly by manufacturer. Performance and quality guaranteed. Fits standard 10" filter housings, including most name brand models. Length: 10", O.D. = 2.5", I.D.= 1"
ANSI/NSF STANDARD 42 COMPONENT - Tested by independent third-party. Genuine iSpring filter sold directly by manufacturer. Performance and quality guaranteed. UV is capable of killing bacteria, viruses, and other microorganisms by interfering with the DNA and RNA in the organisms' reproductive cycles. (Wiki - UV_water_disinfection). 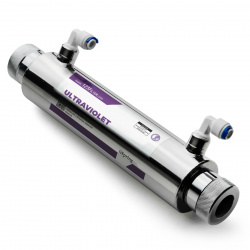 In theory, the RO membrane already removes bacteria and viruses from the water, therefore, if you are on a municipal water system (tap water) in the U.S., chances are that you should not need a UV light on top of our RO System. But, if your water source is known to be unsafe with microorganisms and you want to have extra protection, then you can add an UV as an additional stage to disinfect water. Kills 99% of bacteria, virus, and protozoan cysts. Perfect solution to purifying well water and other problem water sources containing excessive microorganisms like water from lakes and streams. Refillable DI filter for RO DI system. 1/4" NPT. To create 0 ppm for TDS reading if used after a RO system. Fits most RO DI systems, including those brand name models. 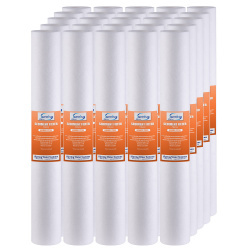 2 year, 17 piece replacement water filter pack for the 6-Stage RCC7U. Each filter is individually wrapped to preserve freshness. 4x 5 Micron Sediment Filters (1st Stage): Removes dirt, rust, sand, and other particles. 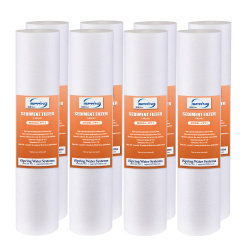 4x 5 Micron Granular Activated Carbon (GAC) Filters (2nd Stage): Absorbs chlorine, halite, organic contaminants, odors, and other impurities that contribute to bad tastes and odors. 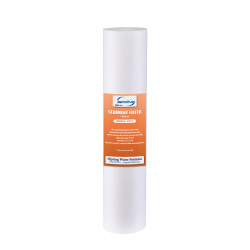 4x 5 Micron CTO Carbon Block Filters (3rd Stage): Further removes any remaining chlorine, tastes, and odors. 1x High Rejection .0001 Micron TFC Reverse Osmosis Membrane (4th Stage): The heart of the RO system. Produces drinking water at a rate of 75 gallons per day. Replace about every 2-3 years. 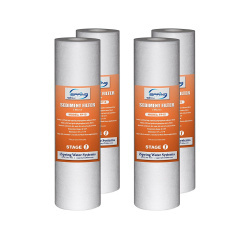 Tested by independent third-party to meet NSF/ANSI Standard. 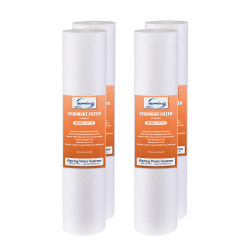 2x Post Carbon Inline Filters (5th Stage): Polishes the water from the tank before it is delivered to your faucet. 2x 11w UV Bulbs (6th Stage): 11w Phillips UV bulb, used for killing viruses, bacteria, and microorganisms.